Jose R. Hernandez obituary. Carnes Funeral Home. 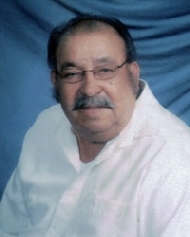 Jose R. Hernandez passed away on March 31, 2013 in Nassau Bay. Jose was born on July 4, 1935 to Ramon and Natividad Hernandez in Galveston, TX. Jose was a graduate of Kirwin High School. After graduation he enlisted in the United States Air Force and proudly served his country as security police for 21 years. He was stationed in Japan, North Africa, Alaska, Thailand and various United States bases. After retiring from the Air Force, he worked at Union Carbide gate 18 as a product handler until his retirement. He enjoyed playing softball, dancing, woodworking, wrestling, gardening and watching "them Cowboys". He loved spending time with family especially his grandchildren. He will be remembered for being supportive of family. Jose is proceeded in death by his parents, Ramon and Natividad Hernandez; sisters, Soledad Leyva, Refugia Ramirez and Maria Hernandez; and great-grandchild, Angelina Garcia. He is survived by his devoted wife and friend of 54 years, Guadalupe Hernandez; son, Jose A. Hernandez (Janet); daughters, Tina Campbell, Cynthia Mayes (Craig), and Mary Bundy (Dell); grandchildren, Catherine Porcher, David A. Campbell, Jennifer Bowden, Stephen Campbell, Jessica Bowden, Cari Garcia, Haley Hernandez, Neil Hernandez, Samantha Bundy and Victoria Mayes; brother, Richard Hernandez; sister, Esperanza Rendon; great-grandchildren Devon Campbell, Abigail Porcher, David E. Campbell, Morgan Campbell, Patricia Campbell and Mackenzie Campbell. Jose "Joe" "Cuco" "Pawpaw" "Grandpa" "Poppy" "Daddy" will be deeply missed and will live on in the hearts of everyone who loved him.